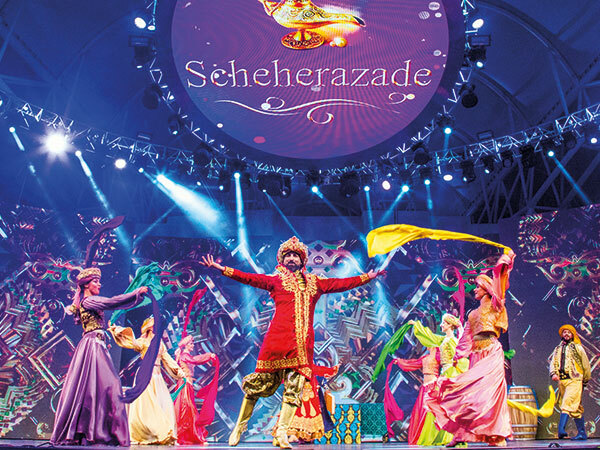 ‘Scheherazade’, a 30-minute musical inspired by the iconic ‘One Thousand and One Nights’ story, will run daily, except Fridays, at the Global Village in Dubai. Directed by Nasser Ebrahim, the story centres around Sultan Shahriar, who is convinced of the duplicity of women and vows to slay each of his wives after the first night. Queen Scheherazade saves her life by her presence of mind as she recounts a succession of tales, that never end before day-break, over a period of 1,001 nights. Overcome by curiosity, the monarch postpones her execution at every day break, and finally renounces his resolution. These ancient folk tales, also termed as ‘Arabian Nights’, have inspired poets, writers, artists and composers for centuries. 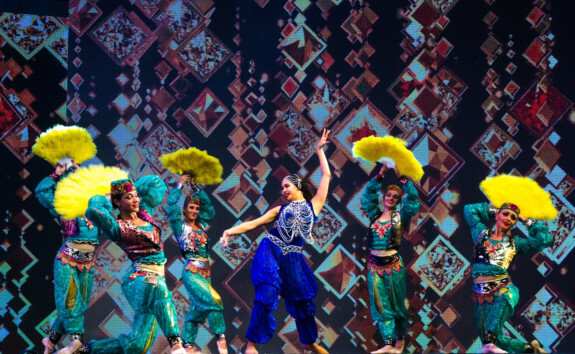 More than 30 professional actors and dancers from Ornina Arts present the musical. Its main characters, besides Queen Scheherazade, are King Shahriar, the storyteller and merchant Fouad and his wife Atimad, and their monkey. 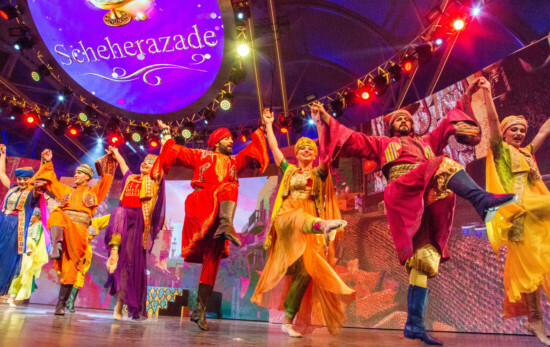 More than 200 costumes and up to 100 props and accessories are used while performing 11 scenes of the musical. 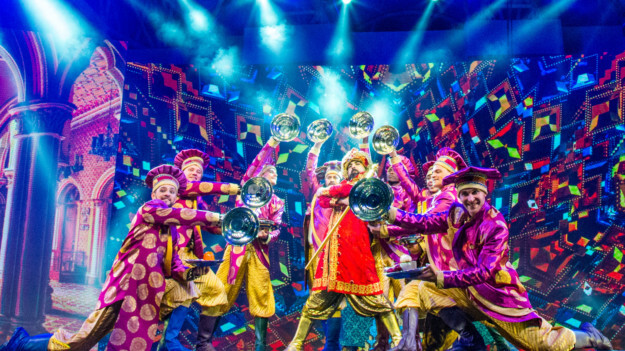 The show is played out on Global Village’s main stage with three half-hour shows that start at 6.25pm, 8.25pm and 10.25pm every evening except on Fridays. Tickets are inclusive of the Dh15 entry price. Global Village is open until April 6 from 4pm to 12am from Saturday to Wednesday and from 4pm to 1pm on Thursdays, Fridays and public holidays. On Mondays, it is dedicated to families and women only.